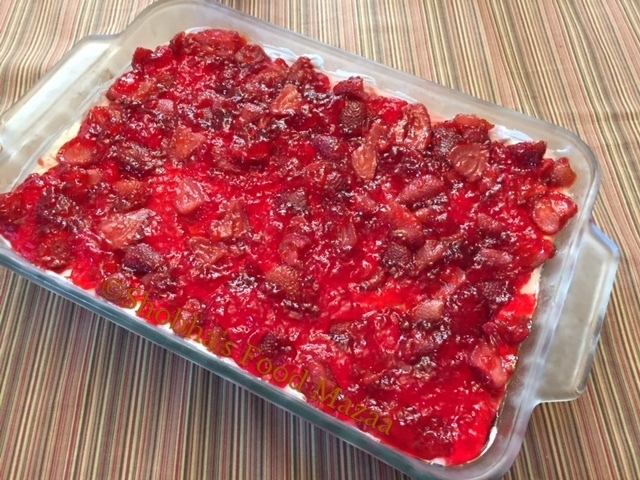 Strawberry pretzel salad is a very easy and delicious dessert. It is neither too sweet nor salty. The taste is well balanced. Frozen strawberries ........ 10 ounces (About 285 gms) You may use fresh strawberries if available. Put the pretzels in a zip lock bag and crush them coarsely. Stir together crushed pretzels, melted butter and 3 tablespoons sugar; mix well and press mixture into the bottom of a 9 x13 inch baking dish. Stir in still frozen strawberries and allow to set briefly. In a large mixing bowl cream together cream cheese and 1 cup sugar. When the jelly mixture is about the consistency of egg whites, pour and spread over cream cheese layer. Refrigerate until set. Looks super simple and delicious. Glad to have found your blog. This recipe looks like an easy one for get together dessert menu! Yes Ria.. it is very easy and the taste is also not too sweet.. well balanced flavours. Looks super yummmmm. Quite easy to prepare and sounds delicious ! Thanks Priya. Do give it a try. I love how you have used pretzels for the base - makes a great change to biscuits! Thanks Heidi . the pretzels give a balanced taste too as they are slightly salty. Looks like dessert recipe. Adding pretzels and strawberry in creamy whipped cream sounds delicious. Thank you so much Uma. 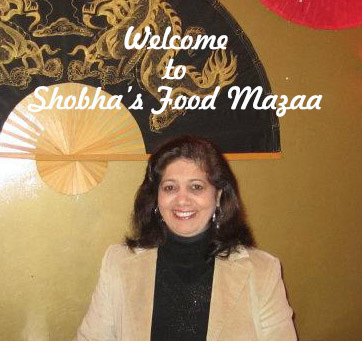 Highly impressive and absolutely irresistible Shobha, wow pretzels and strawberry seriously this combo rocks. A different recipe I never heard of. Many ingredients are not locally available makes me helpless to try new dishes .This looks perfect for summer. Nivedita these days most of the exotic ingredients are easily available in stores like Nature's Basket. Looks so inviting and appetizing.. well balanced flavours!! This looks so inviting. Just like a dessert. Loved it. 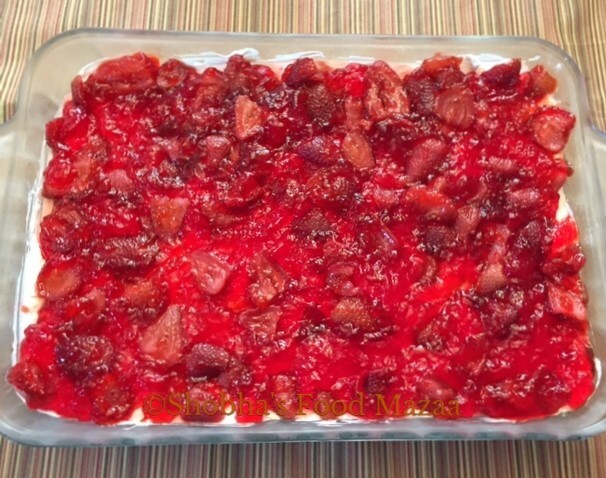 Like the idea of combining salty pretzels with tart strawberries and sweet topping. An explosion of flavours! Looks very impressive and a perfect crowd pleaser! Yes Rafeeda. do try it out with pretzels. Brilliant idea! I love the balance of flavoured and textures in this beautiful dessert. What a lovely idea to add pretzels to a fruit salad; must be giving a lovely crunch :) Superb! Sweet and Salty combinations a great idea for dessert. Love it and in fact love strawberries in any dessert. Dessert salad is a nice idea. Nice combination of flavours and textures! Super idea to use pretzels as the base. The flavour of strawberry must be really good. Yes Jayashree.. lovely combo with balanced taste. Something new for me, dessert and salad together in one dish, sounds interesting! Wow such a colorful ad inviting salad. I love everything about strawberries and will try it soon. Thanks Sapana.. do share the feed back. Such a lovely combination of all here in this yummy dessert :) Love to grab ! !